After a short stop (and it was short) in their homeland to promote their 3rd Korean full-length album KARA give the Japanese market more love by releasing their 2nd Japanese album Super Girl. Many of the songs on this album will be familiar to KARA fans as it contains all of their recent Japanese singles Jet Coaster Love, Winter Magic, Go Go Summer and their associated b-sides. That leaves about 4 tracks of new material but that’s alright. At least this group is spitting out original Japanese songs instead of going back to the well of re-making their Korean tracks. Would it have been cool if there were Japanese versions of Step or any of their other recent Korean songs? Maybe, but that would reek of lack of creativity and possibly a quick cash grab. Does that feel like a rip off? Well may be if you’re new to the way that these J-Pop albums work but for veterans of the genre this is par for the course. I’m not bitching, I’m just pointing that out. Anyway, the 4 album cuts are up to the standard of quality pop that this group has provided so far in their short Japanese career. The most interesting of that batch of songs is Only For You. It sounds a lot like an old school Janet Jackson/Jam & Lewis type of song. It’s something I personally haven’t heard any J-Pop artist I listen to outside of Crystal Kay try to attempt. It’s definitely an interesting direction that to take this group in. As a whole I believe this is making a strong case for KARA as more than just another Hallyu wave group cashing in on its current popularity. I mentioned in my review of their first album that it would be great if they used less recycled material should they have ever gotten around to making a 2nd album. And what do you know? They actually did it. What would happen if I asked for Hara for Christmas? 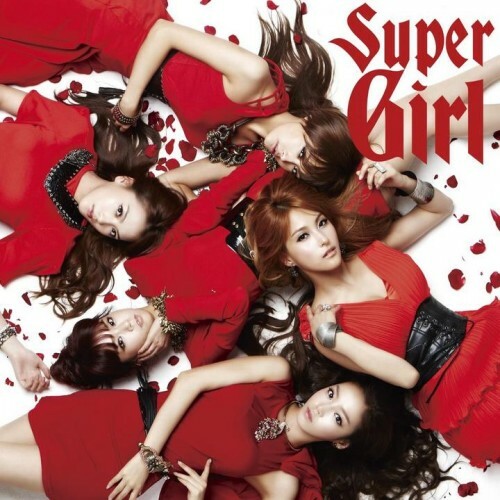 Anyway, great album that shows that KARA are going to be sticking around the J-Pop world for a while.